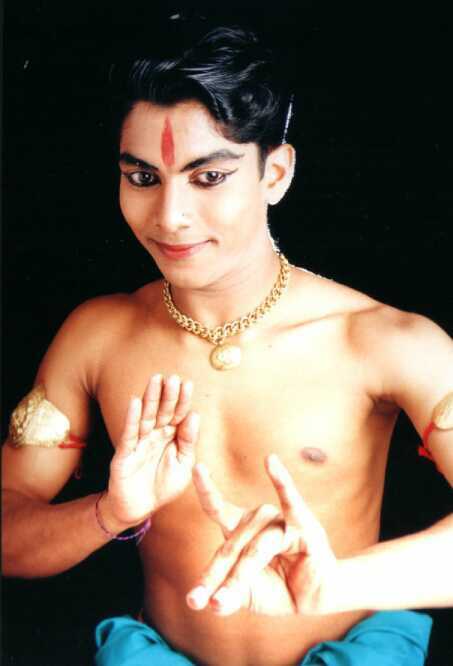 Bharatanatyam Artists - Renjith Babu C.
Renjith Babu, born in Calicut, Kerala, sprouting from an environment of dance and theater in his native has inspired him to dance from a very tender age of 10, under the tutelage of guru Srimati Prasana Prakash. After 6 years of training under her, he proceeded to Kalakshetra for his higher training in Bharatanatyam. During this period he has performed in many productions of Kalakshetra. He then successfully graduated under the tutelage of Srijith Krishna of Kalakshetra in he year 2000. Since then he has undergone extensive training in Bharatanatyam with guru C. V. Chandrasekhar. Under his guidance he has performed in many of his productions such as Chandrodayam, Pancha Maha Bhootam, Aparajitha, Krida, Parivallal etc. In Hyderabad, with the troop of Shrishti, he has performed in Andalvaibhavam, the Quest of Freedom and Kali. 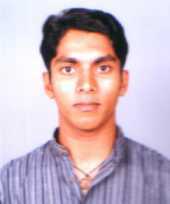 Renjith has also performed in many leading sabhas not only in Chennai but throughout India and abroad. For his outstanding performance the government of India has awarded him the central government scholarship for 2 years in the field of Bharatanatyam. His passion for the clasical art did not end there. His flair for contemporary dance has carved such elegence in the production of The Living Tree which was choreographed by narendra. This performance was a highlight in the performing dance of chennai. Apart from this, his choreographed works include Ramayanam, Menakshi Kalyanam etc. His true love for this art also brought him in quintessence with Yoga and Kalari. he has attained the title of Yoga Siromani at the Teachers Training course at the Sivananda Ashram at Neyardam, Trivandrum. His flair for nattuvangam ia apparent. He stands as a promising artist and will surely be an exponent in the art, which will leave Renjith with a strong success in future. Contact Details: Renjith Babu C.